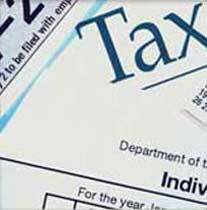 We are a proficient service provider of various Taxation Services to the all types of clients. Our Taxation Services intend to provide end to end tax solution to our clients in the most professional way. Our services are provided keeping the product component/wise reports in the mind. We provide taxation services for different taxes like income tax, service tax, Maharashtra VAT, Maharashtra profession tax etc. We have earned a good reputation in the market because of our unequal and selfless services. Besides, we are one of the flourishing service providers in the domain of Income Tax Services and Maharashtra VAT Services. Online availability of complete knowledge covering legal Acts, Rules, Circulars etc. Online Library of Calculators, Charts, Articles, Drafts, Deeds etc.